John Wardrope was born on <?xml:namespace prefix = st1 ns = "urn:schemas-microsoft-com:office:smarttags" />the 26th December, 1809 in Scarknowe Farmstead, Salsburgh. His parents were James Wardrope, a weaver and Mary Watt Wardrope. He was baptised into the Church of Scotland in the Kirk O’ Shotts on the 12th July, 1811. He would have attended the old Kirk O’ Shotts School which had been built in 1799. After his school years he earned his living as a cabinet maker. Little is known of his early years but records show that he married Lucy McIntosh on the 17th September, 1837. They had a daughter Mary, born in 1838 and another daughter Emily, born in 1840. Between 1830 and 1840 it is well documented that missionaries from the Church of Jesus Christ of Latter Day Saints (Mormons) were active in this part of Lanarkshire at that time engaged in a recruiting drive for the Mormon Church. At some point during this period John Wardrope left the Church of Scotland and converted to the Mormon Church. On the 17th September, 1842 John Wardrope and his family left Liverpool aboard the Ship Sydney as part of a group of 180 Mormons bound for New Orleans, Louisianna with their eventual destination being the Mormon Headquarters in the settlement of Nauvoo, Illinois on the Mississippi River about 200 miles north of the city of Saint Louis. The voyage lasted two months and during that time there were six deaths aboard the ship though none involved members of the Wardrope family. Arriving in the Mississippi Delta, the ship beached and was stuck on a sand bank for thirty hours. After eventually floating off, the Sydney arrived in the port of New Orleans on the 11th November, 1842. After three days in New Orleans John Wardrope and his family boarded the Mississippi Steamboat the Alexander Scott and headed up the Mississippi to St. Louis approximately six hundred miles away. During the journey the Steamship ran aground and was stuck for three days. The boat was eventually freed and the journey up river was continued to about ninety miles from St. Louis where a shallow draft of water meant that the boat had to tie up for three weeks till there was enough water under the keel to continue the journey. Arriving in St. Louis the Wardropes found that the river between St. Louis and Nauvoo had frozen over and they had to take lodgings there till April, 1843 when they continued their journey up river 200 miles to Nauvoo. The settlement of Nauvoo, Illinois had been established as the Latter Day Saints Headquarters in 1839 and remained as such till 1846. During his time in Nauvoo, John Wardrope worked on the construction of the Nauvoo Mormon Temple. Nauvoo, at this time between 1839 and 1846, was a very dangerous place as the Mormon community was constantly under attack by anti Mormon vigilantes engaged in shootings and burning homes and farms. The Latter Day Saints spiritual leader Joseph Smith and his brother Hyrum were killed around this time by a lynch mob, while in jail in Carthage, Illinois. Wardrope and his family were part of this group which went to St. Louis. 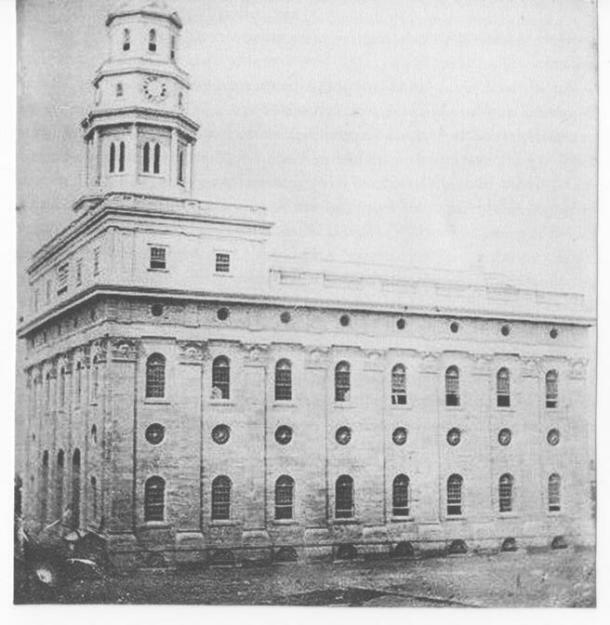 The Temple in Nauvoo on which John Wardrope had worked during its construction was the target of an arson attack in 1848 destroying its interior then in 1850 the Temple was hit by a tornado which knocked down the north wall and damaged the east and south walls so badly that they were taken down. The remains of the structure were finally razed some years later. In St. Louis John Wardrope became a member of the 27th Quorum of Seventies, a spiritual teacher, and as such attended the Latter Day Saints conference in St. Louis on the 31st January, 1847. Although St. Louis was known at this time as a very tolerant city as regards the Mormons the discovery of gold in California had led to St. Louis being the jumping off point for prospectors heading to the gold fields from all over the world. The effect of all these immigrants crammed into St. Louis was to turn it into the equivalent of a frontier boom town with all the inherent dangers. Other dangers experienced by John Wardrope and his family occurred in 1849 when a great fire broke out burning boats on the Mississippi River and destroying large parts of the city. The resultant devastation caused misery and hardship to thousands of residents. Also in 1849 a Cholera epidemic broke out in St. Louis and raged for most of the year killing thousands. In 1852 John Wardrope and his family left St. Louis and travelled about 400 miles up the Missouri River to the settlement of Kanesville, Iowa, the site of the modern day town of Council Bluffs. This was the departure point for Mormon pioneers heading to the Valley of the Great Salt Lake beyond the Rocky Mountains. This was the place which had been designated by the Church leaders as the new Headquarters of the Mormon Church. John Wardrope and his family joined the Henry Bryant Manning Jolley Wagon Train in Kanesville and on the 14th June, 1852 crossed the Missouri River with them and camped overnight at an area known as Winter Quarters which is now the site of the city of Omaha, Nebraska. On the 15th June, 1852 the Wagon Train consisting of sixty four wagons set off on its journey of about 1,000 miles to the Valley of the Great Salt Lake. On the 1,000 mile trek they could expect to encounter choking dust, violent thunderstorms, blazing heat, quagmires of mud, contaminated water, hunger, sickness and possibly death. Apart from the elements, the dangers from wild animals and native American Indians was always present. 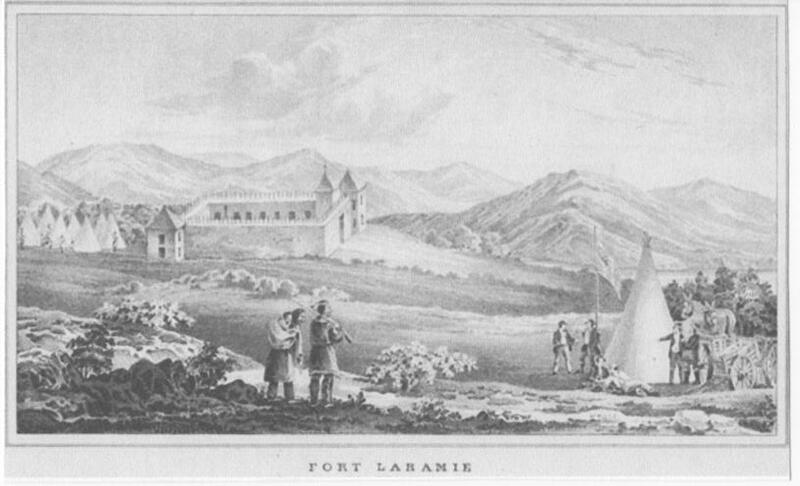 Their route took them across the Great Plains for hundreds of miles, following the Platte and North Platte Rivers on their northern side to Fort Laramie. Leaving Fort Laramie the Wagon Train basically followed the route of the Oregon Trail to Casper, Wyoming where they turned south-west, followed the Sweetwater River to a ridge known as the Continental Divide which they crossed at South Pass. From South Pass the route took them by the Green River to Fort Bridger. From Fort Bridger to their final destination was something over 100 miles but the terrain was extremely difficult, possibly the worst part of the whole journey. It comprised of barely impassable canyons, rocky ridges and tree covered mountain slopes. The route they took through this inhospitable country eventually brought them to Echo Canyon which they passed through and eventually reached the big mountain overlooking the Great Salt Lake Valley. The Wagon Train reached the settlement in the Valley around the 15th September, 1852. This was the end of a remarkable journey for John Wardrope - from a farm steading in the shadow of Duntilland Hill in the Parish of Shotts, Scotland - to a frontier settlement in the shadow of the Wasatch Mountains in the American Wild West. 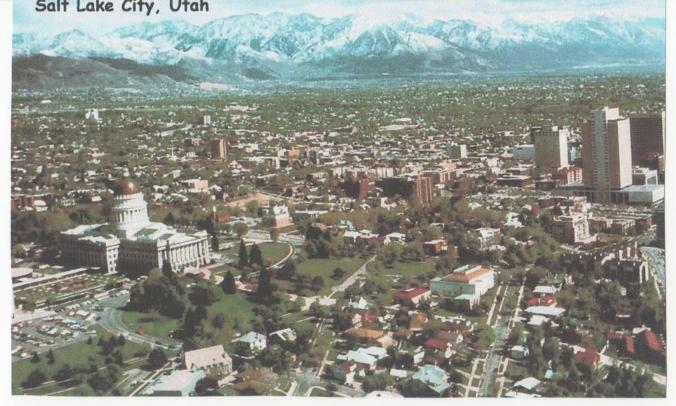 The settlement where John Wardrope and his family now made their home and where he would live out the rest of his days eventually became modern day Salt Lake City the capital of the state of Utah and the world wide headquarters of the Mormon Church. John Wardrope died on the 3rd April, 1890 in Salt Lake City, Utah, and he is buried in the City Cemetery, Salt Lake City, Utah. His wife, Lucy McIntosh Wardrope died on the 27th May, 1880 in Salt Lake City, Utah and she is buried in the City Cemetery, Salt Lake City, Utah. His daughter, Mary Wardrope died on the 7th January, 1915 in Beaver Beaver, Utah and she is buried in Mountain View Cemetery, Beaver Beaver, Utah. His daughter, Emily Wardrope died on the 29th December, 1856 in Salt Lake City, Utah and she is buried in Salt Lake City Cemetery, Utah.